Krapina County is located in the northwestern part of Croatian territory and belongs to the central Croatian. A separate geographical entity that is bounded on the north and the peaks Macelj Ivančice and Zagreb Medvednica mountain in the southeast. The western border, also the state with the Republic of Slovenia, is a river Sutla, and the eastern borders of the watershed basin of Krapina and the Lonja. Thus delimited area of the County coincides with the natural region of Donje Zagorje. Krapina-Zagorje borders: – the North with the Republic of Slovenia and Varazdin County – in the west with the Republic of Slovenia – in the south of the city of Zagreb and Zagreb County – east from Zagreb and Varaždin County. The area is one of the smaller counties (1224.22 km2) but has greater demographic importance, because the population density of 122 stan./km2 over the Republican average of 84 stan./km2 and, with Medjimurje and Varaždin County, the most densely populated area Croatian Republic. Krapina-Zagorje County has a quality basis for the development of those forms of tourism activities that correspond to its geographic and cultural-historical conditions. Croatian Hinterland and the famous hills of Zagorje attract and call for peaceful moments in nature. Zagorski end is characterized by a number of forests, springs and culinary delicacies. No one remains indifferent when he saw the endless vineyards Zagorja located on gentle green slopes. Zagorje is known for one of the world’s most important Neanderthal sites, the site Hušnjakovo hill, where it is detected Krapina Early Man. 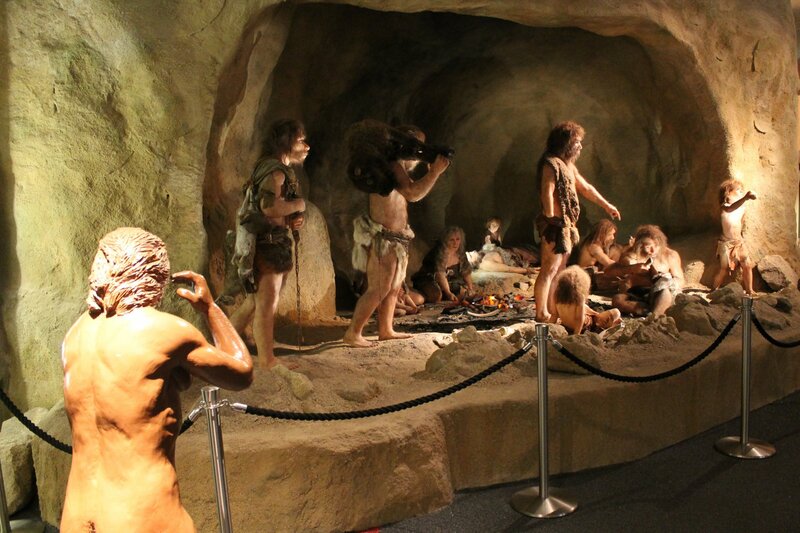 The new museum is called the Krapina caveman Neandertalland otvaren and the start of 2010. year. Hinterland is rich in historical tales and folk legends. Croatian Hinterland has many sources of thermal waters known since the time when the Roman armies ruled the territory on which is now Croatia. Throughout history, when there was great danger from the Turks, many people rushed into the safe embrace of Zagorje. The nobility, which are mostly moved to the Zagorje region, began to build castles, some of which are now known Trakošćan and Veliki Tabor. 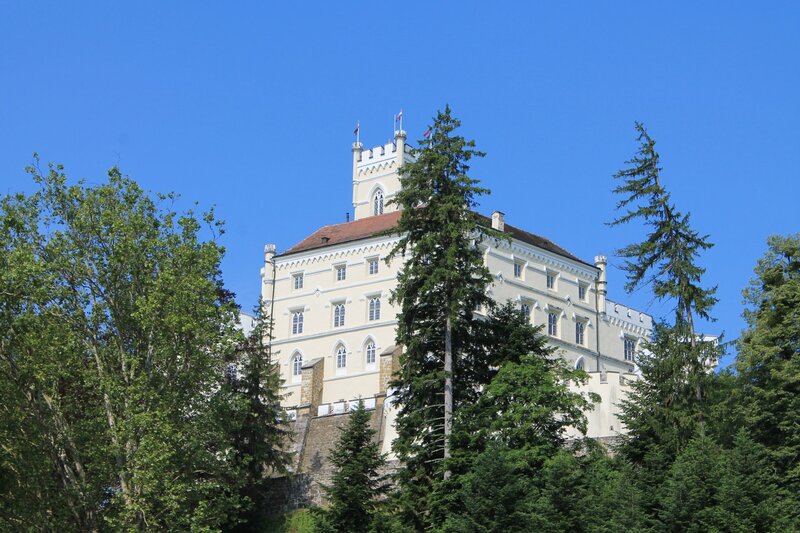 The castle is located near Hellenbach Marija Bistrica in the Croatian Zagorje. One of the few castles within which managed to preserve the continuity of life and historic ambiance interior decoration from the 19th century. The castle was built in Classicist style 1786th year. In addition to palaces and noble families that were built with the county are tied and many historical events, landmarks and famous people who are important to national and international levels. 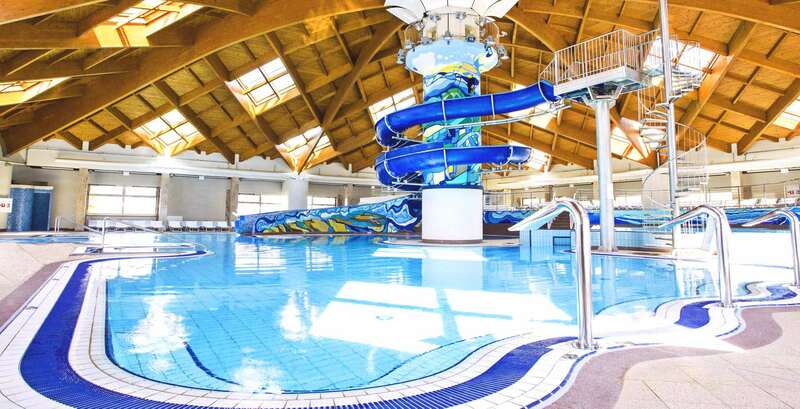 Croatian Zagorje now has a world-renowned sanctuary – Marija Bistrica.